This is a re-issue of the classic Pausania Table Lamp from Artemide. 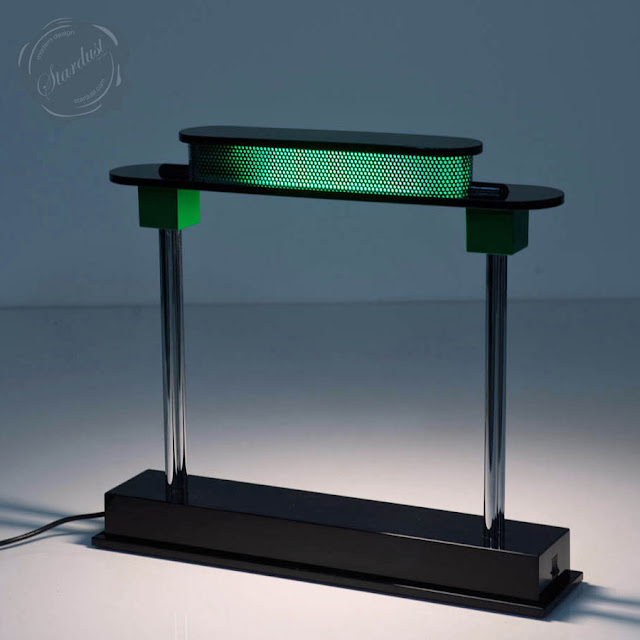 Originally designed by Ettore Sottsass this updated version features new LED technology. With a distinctive Memphis take on the classic bankers lamp Pausania has a methacrylate green diffuser and black resin base, with LED source included. 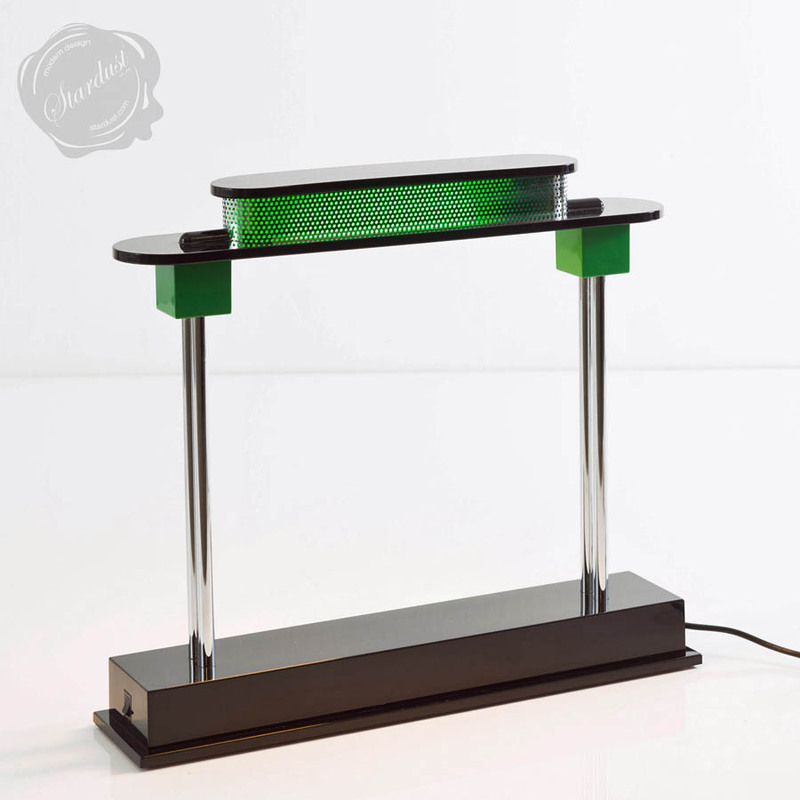 Designer : Ettore Sottsass Year of Design : 1983/2016 Material : Methacrylate green diffuser, black resin base Dimensions : H: 43cm; W: 48cm LED total power : 10W - 2700-6500K, 900lm. This Artemide LED re-edition of the 1983 classic "Bankers or Library Lamp" by Memphis-design godfather Ettore Sottsass features variable white light, a black resin body, green synthetic diffuser and aluminum.